For Photoshop CS and CS2 tutorials, see our Photoshop Tutorials Page. How to cycle through Photoshop's blend modes. 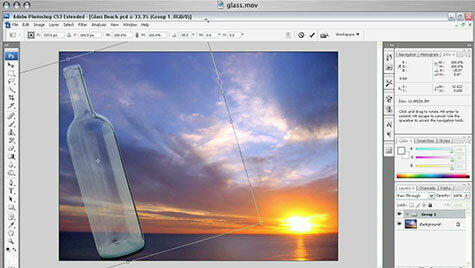 How to use the blend modes to select the shadows and highlights of a glass bottle. Working with Color Range to make an alpha channel selection mask. To redeem our exclusive discount coupon, use promotion code save20pss in your shopping cart. You could save hundreds of dollars. Use this special link to see the full offer.